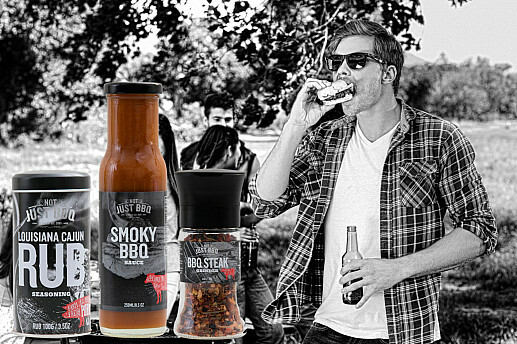 Foodkitchen has developed a new contemporary brand, especially for BBQ and Outdoor Cooking. An assortment filled with various food items that not only make outdoor cooking easier, but make your dishes taste even better. Think of various spice blends, BBQ sauces, seasoning and smoking wood. Even the sweet tooth is catered for with special BBQ marshmallows, perfect to finish a dinner al fresco. And to present everything in matching manner there are robust olive wood serving boards, to give each dish a fantastic look. Learn all about the different products Not Just BBQ has to offer and be inspired by the many possibilities and applications.